If you’re working to a tight schedule and need a removal company that can get your move sorted fast call us on 020 8746 4402 to book our team now. Our moving team are the quickest in the local area and can have your relocation to Wanstead sorted in a record time. With everything from van hire and manpower to packing and unpacking services, Moving Service can make sure that you’ve got everything covered! Our removal services even offer great value for money and can be hired at short notice or well in advance. With some unbelievable deals on offer at the moment, you’ll be disappointed if you don’t bag yourself one of our bargains! Wanstead is a leafy suburban area in the north east of London. Part of the London Borough of Redbridge, it is a desirable area that has a large number of green open spaces. Neighbouring Epping Forest, it overlooks beautiful parkland and a number of artificial lakes and wooded areas. It also has good links to the centre via the Central tube line and is near to Walthamstow, Redbridge, South Woodford and Leytonstone. Its high street is known for having a village-feel and has a number of boutique shops and independent retailers. House prices here have been rising and are around average for the city. When it comes to moving house to Wanstead, E11 there are all sorts of things that can go wrong. It can be broken furniture or damaged boxes or simple things like the van not turning up on time. At Moving Service we strive to make these problems a thing of the past, with reliable and efficient removal services each and every time. Unlike some other local firms, we guarantee that our house moving team will always arrive promptly and that we’ll always have the manpower and equipment to make your move a success! With a fleet of modern moving vans and a team of expert movers we can master any move no matter how big or small! Are Our Movers The Best In Town? In one word – yes! We have a carefully selected and professionally trained team of moving experts each of whom has the experience and know-how to make your relocation to E11 region a complete and utter success. With many years of experience and a friendly attitude, our team can help you with all aspects of your move. Packing, lifting and loading can all be included in your service, along with all sorts of added value extras. So if you don’t want your dream move to turn into a nightmare, contact us on 020 8746 4402. We promise that our removal company is the best in town! Do We Offer Spectacular Deals? 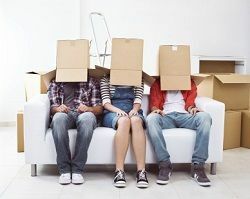 When you’re moving house spending money on the move is the last thing you want to do, especially if there are improvements you want to make in your new home. That is why we always have a great selection of deals available for all customers moving to Wanstead, E11. Our house moving packages can include as many of our additional services as you need and can be tailored to meet your personal moving requirements. To get a free quote all you need to do is dial 020 8746 4402 now. Our customer services team will give you a free and no obligations quote in just a few minutes!